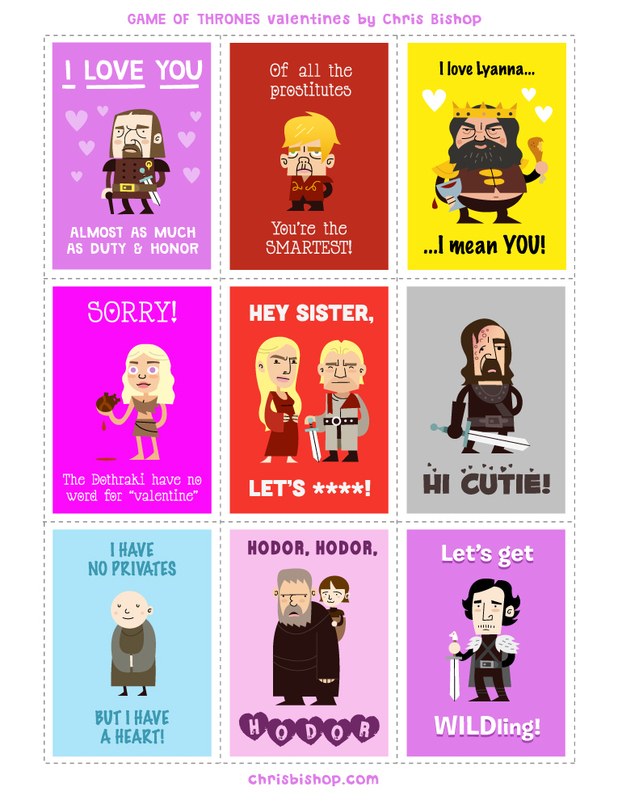 These “Game of Thrones” Valentines by artist Chris Bishop made me laugh this morning. So, have a look. They also made me miss “Game of Thrones.” March 31! Season 3!